Running is the only sport I know where the athletes will dress up in crazy costumes to compete. Football, basketball, baseball, and hockey players all have uniforms they are required to wear. The dress code for golf and tennis players is a bit more relaxed but you never see anyone wearing a Batman or Snow White costume out on the golf course or tennis court. Runners will wear costumes for races around Halloween and especially for races at Disneyland and Disney World. Costumes are also common in December when races have a Christmas theme. Last January I met a fellow running blogger at the start line of a race in Arkansas. He told me about the Christmas Story Run 5K/10K, a Christmas-themed race in Cleveland. He likes the race so much that every year he travels hundreds of miles from St. Louis, Missouri to run it. I don’t know too many people who will travel for a race shorter than a half marathon so I knew this event must be special. I decided to check the race out myself this year. Yes, I also traveled hundreds of miles to run a 10K. 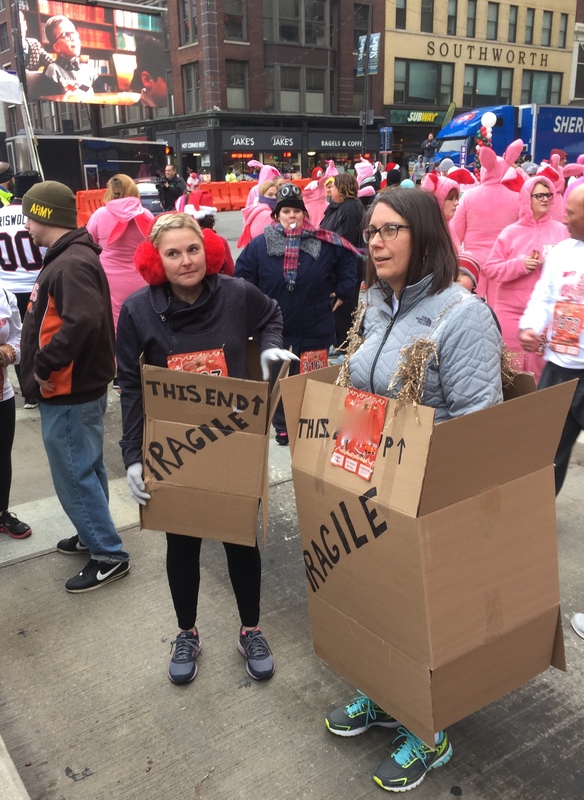 The Christmas Story Run was inspired by the 1983 movie “A Christmas Story,” which was partially filmed in Cleveland. The movie, set in the 1940s, is about Ralphie Parker who only wants one thing for Christmas – a Red Ryder BB rifle. For many people “A Christmas Story” is their favorite holiday movie and they can readily recite lines from their favorite scenes. With a wide range of colorful characters, it is the perfect movie to serve as the focus for a Christmas-themed race. Both the 5K and 10K races start at the old Higbee’s Department Store, a landmark used in the film (now converted to a casino). The finish line for the 5K is the house used for the exterior scenes of the Parker family home in the movie. (The house is now a museum and is available for overnight stays for diehard fans.) The finish line for the 10K runners is back in front of Higbee’s. Buses are provided to return the 5K runners to the start line. What is so amazing about this race is how many runners dress up in costumes of their favorite characters from the movie. Some runners dressed as Santa or an elf from Higbee’s. 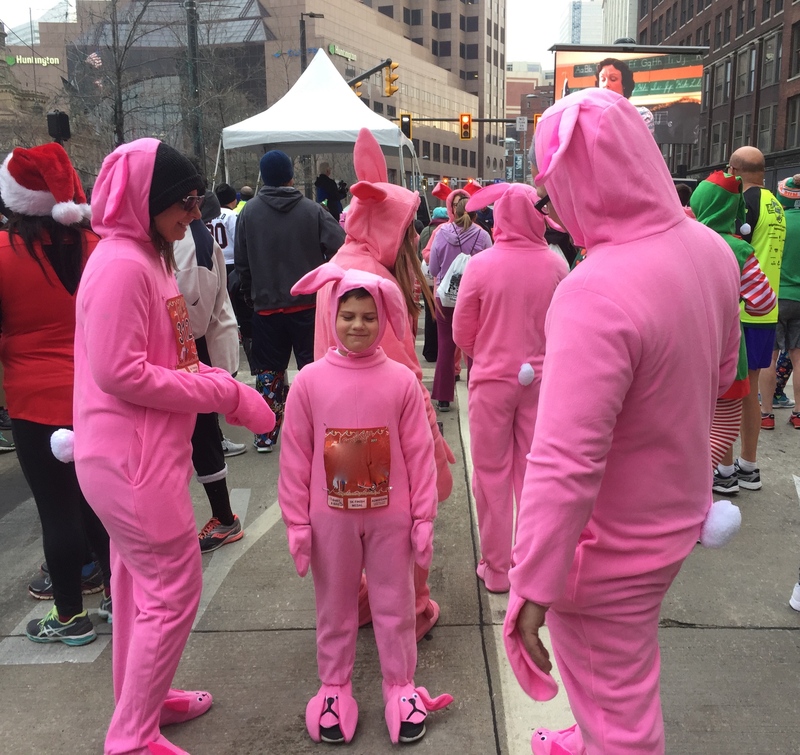 There were entire families dressed in pink bunny costumes like the one Ralphie received from his aunt for Christmas. 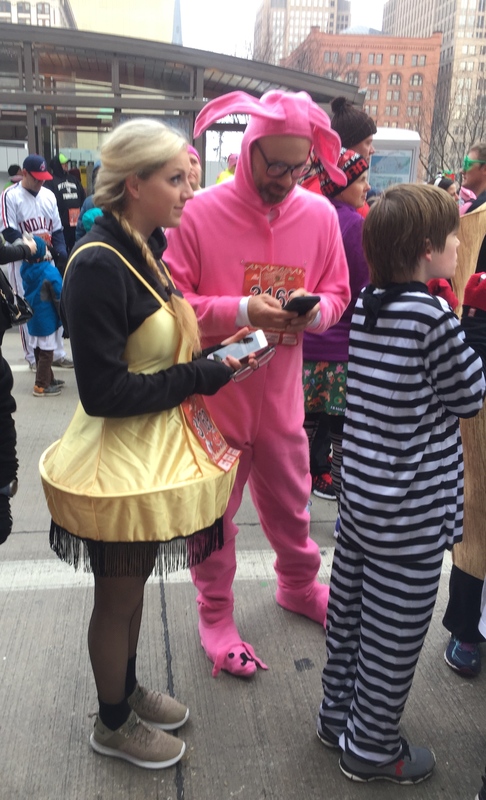 Other groups of runners wore black and white striped shirts and black pants to resemble the bad guys from Ralphie’s daydreams. I saw many women running dressed as the leg lamp, the major award Ralphie’s father won. Others wore costumes that looked like the crate the lamp arrived in. I don’t think there was one character from the movie that was left out – even the Bumpuses dogs were represented. At the finish line, there was hot Ovaltine for all the runners. Looking around, I could tell everyone was having fun. 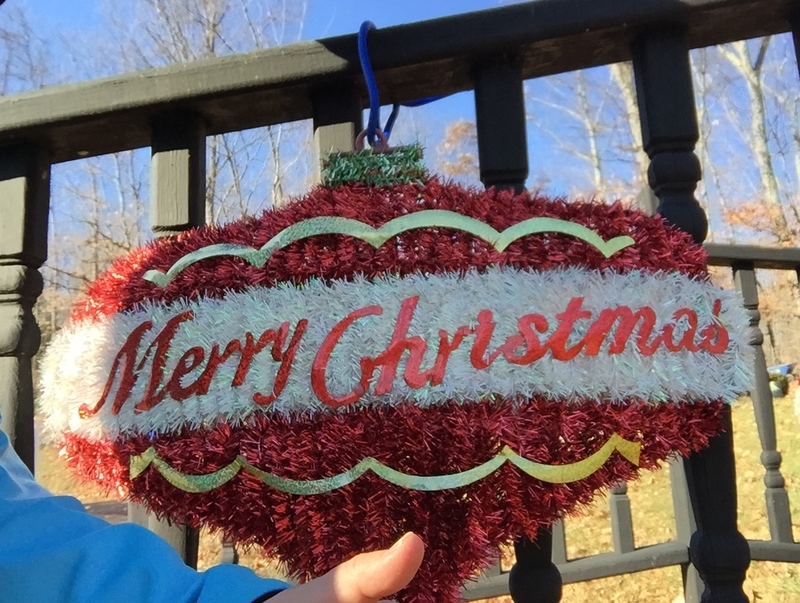 Other popular holiday themed races are Santa Claus and Jingle Bell Runs. 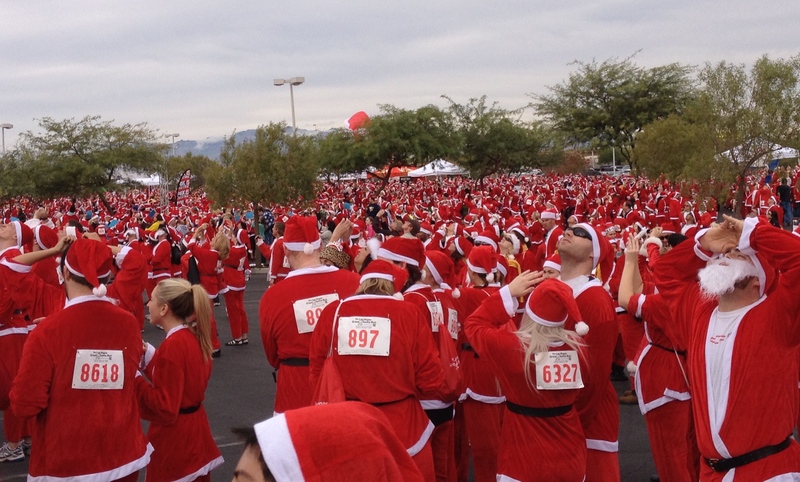 Several years ago I ran the Las Vegas Great Santa Run, a 5K race where all registered runners were given a Santa Claus suit to wear in the race. There was a friendly competition between Las Vegas and towns in England and Japan to see which one had the most Santa Claus runners. It was incredible to look around and see so many people dressed like Santa Claus. The jingle bell race was similar in that every runner received jingle bells to tie to their running shoes. Many of the runners dressed up in costumes in addition to wearing their bells. As we ran, all those jingle bells were ringing. It was hard not to sing along with them. The first holiday themed race I ever ran was the Rudolfs Red Nose Reindeer 10K. Although runners didn’t have to dress up for this race, all the finishers received a red nose to wear. When I look back at my race records, I noticed that it was one of my fastest 10Ks (on a very hilly course too). I was worried they would run out of red noses before I reached the finish line. That red nose was motivation to run fast. You don’t need a race to dress up for a holiday run. My old running group would meet up to run together on Christmas Eve. Everyone showed up in festive outfits – Santa hats, reindeer antlers, elf costumes. We would finish our run listening to carols playing from someone’s car radio while we enjoyed cookies. It put everyone into the holiday spirit. If you missed out on all the holiday races this month, you still have time to get your own holiday run in. Put on a Santa hat and head out the door. Anyone who sees you run by will probably smile and give you a friendly wave. This scene from the movie was the theme for this year’s Christmas Story Run.